Whether you plan to hire an HVAC company or resort to DIY with the installation of your air conditioning system the choices of ductwork will be between these two duct material; the flexible ducts and rigid metal sheet ducts. According to the flexible duct Sydney shop representative, getting to know more about the pros and cons of flexible ductwork will make decision making less complicated. Yes, this is one of the advantages of choosing flexible ductwork over metal ductwork because the materials used are a lot cheaper. This application would help any homeowner save money. Based on the experiences of flexible duct Sydney installers the installation process of the flexible ductwork is not labour intensive when compared to the complexity of job with air conditioning sheet metal ductwork. So, if you plan to hire a contractor expect to pay less for labour. 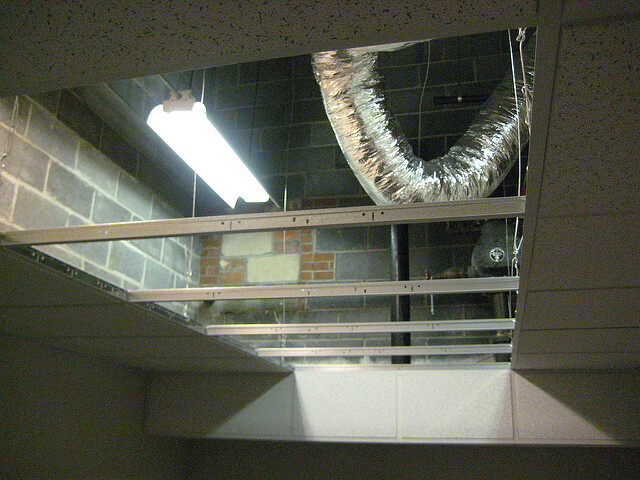 If you worry about tight spaces the flexible ductwork is the perfect solution because this type of ductwork can go around in narrow spaces, unlike the air conditioning sheet metal ductwork. In fact, the flexible ductwork can work best on areas with uneven angles or sharp edges due to the flexibility of the materials used. According to the flexible duct Sydney installer, there are also drawbacks if you opted for the flexible ductwork such as less airflow. Unlike metal ductwork that has the capacity to provide maximum air cooling to any space the flexible ductwork airflow performance may not be sufficient. Why? Obstruction is a common issue with flexible ducts because of their smaller sizes plus their feature of being bendable can restrict the amount of airflow. A homeowner will have to be content with the quality of airflow the flexible ductwork can deliver. Another drawback of choosing the flexible ductwork is the materials used are prone to wear and tear. Why? Flexible ducts aren’t as durable with air conditioning sheet metal ducts. Expect the flexible ducts to have cracks or possibly damaged over time, especially when exposed to external elements that have sharp edges. The maintenance cost of flexible ductwork can be a bit costly than the air conditioning sheet metal ductwork. Why? Flexible ducts similar to air grilles need to be replaced to ensure the air conditioning system functions well and this would mean additional expenses as mentioned by the air grilles Sydney supplier. There you have it the pros and cons of flexible ductwork. In case you want to know more which type of ductwork would match your home’s cooling needs, consult the flexible duct Sydney representative at Air Tag and be enlightened.